Growing up in South-east region of Kenya, and having spent number of years there, Margaret “Mumbi” Baskin mastered authentic African cuisines from preparing appetizers to main course meals. She also developed a reputation for her decadent African delicacies. Mumbi continued getting encouragement from friends and family to open a restaurant specializing in “African” cuisine featuring all of her unique recipes…she took their advice, took a bold step forward and never looked back. She stepped into what is now “Afrika Fusion” restaurant. The result is now you can take a step into Africa right here in Dallas! Afrika Fuson will engage all of your senses with a décor and ambience that celebrates its African origin and heritage. This one-of-kind African restaurant in Dallas gives guests an opportunity to experience Africa, its’ cuisines and vibe. Mumbi prepares her original African delicacies with her secret ingredient – ‘love’, using aromatic traditional ingredients that spoil her guests palettes with unforgettable delight. In this vibrant African restaurant, you’ll not only encounter authentic décor, but lively dancing and music too! We strive to showcase Africa’s rich history and traditions and have gone to prodigious lengths to ensure your dining experience is as authentically African as possible. Since, its inception, the Afrika Fusion has won the hearts of her neighbors, the community and has become a destination for visitors. She has rave reviews for serving a wide range of authentic African food that includes Malawian, Kenyan, Ugandan, Zambian, Nigerian, Zimbabwean cuisines. 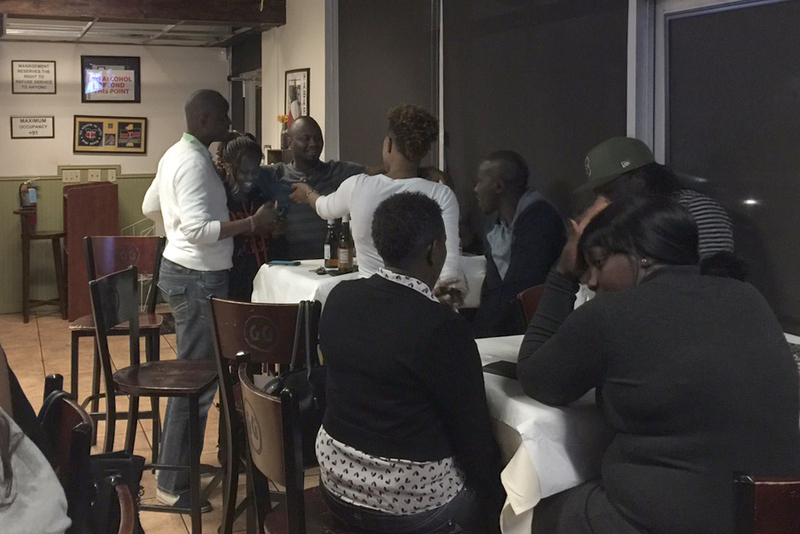 Afrika Fusion has transitioned from a simple café to full-fledge restaurant serving African meals. Today, it has become the place in Dallas to experience an original taste of African food from various African cuisines. Now her guests can enjoy and relish the food without visiting the continent. From the traditional furnishings to the serving of food, we offer an exotic, alternative dining experience in the Dallas Metroplex. With its authentic décor and cuisine, dining at Afrika Fusion, is more than sharing a meal – it’s sharing a memory.